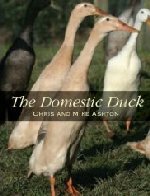 Books, pictures and information about the care of pure breeds of domestic waterfowl in the UK. Photos and information on the links above. We breed a limited quantity of pure breeds of domestic geese, Indian Runners, Miniature Appleyards and Abacot Rangers each year. We do not sell hatching eggs. 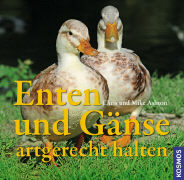 Note that all photographs and text on this website belong to Chris & Mike Ashton. They should not be reproduced without our permission i.e. they should not be used for advertising or commercial purposes. Please telephone 01938 554011 for availability of books or stock. We are in the UK near Shrewsbury on the border of England and Wales.